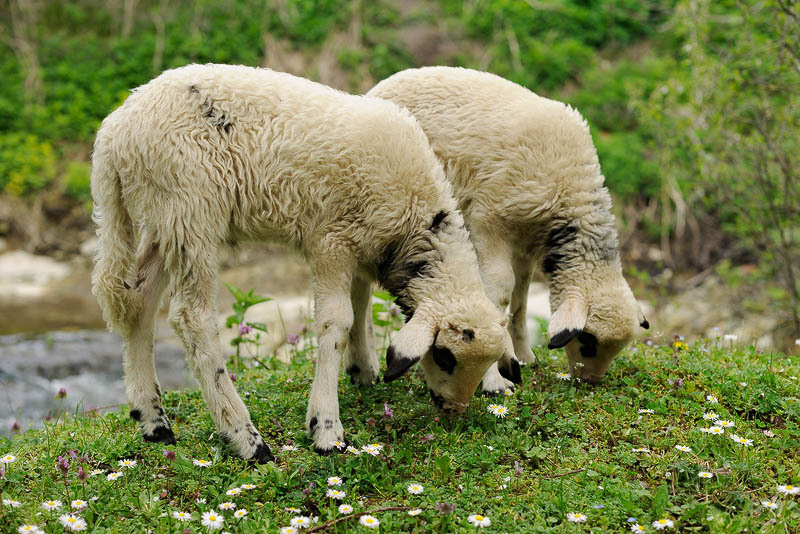 Pastoral landscape of countryside with grazing young sheep in green grass pasture. Domestic farm animals - cattle, muttons. Mammals. Farming livestock. Stock-breeding.